Sixty-eight years after its publication, George Orwell’s dystopian novel 1984 became the number one best-selling book on Amazon on 25th Jan 2017. Those who read the book know that it elaborates on the Big Brother, 24×7 government surveillance, a ministry dedicated to spread lies under the pretence of “alternative facts,” and a society that was perpetually at war. A reader could grasp the scenarios, even if they don’t fully understand the concepts. Extrapolating the present situation to paint a picture of the future couldn’t have been so easy, but might not have been impossible at the time. Couple that with great creativity and storytelling, you had a best seller then and now again. Orwell did not need to involve technology to paint the 1984 he imagined, nor did he have to deal with the exponential nature of the expansion and influence of technology. Imagine writing a sequel 2084; even the greatest crystal gazers would simply admit that it’s impossible. That’s why even the leader in technology analysis & market research Gartner itself does only a three-year prediction. The forces that our runaway technological evolution will unleash in 2084 are way beyond the predictive prowess of budding Orwells or Nostradamuses of today. That said, the following is what Gartner observes in its “Predicts 2017: Artificial Intelligence” research note. By 2019, more than 10% of IT hires in customer service will write scripts for bot interactions. Through 2020, organizations using cognitive ergonomics and system design in new AI projects will achieve long-term success four times more often than others. By 2019, startups will overtake Amazon, Google, IBM, and Microsoft in driving the AI economy with disruptive business solutions. By 2019, AI platform services will cannibalize revenues for 30% of market leading companies. The underlying tone in all the above predictions (some might have already transpired, I believe) is the need for fewer workers in the mundane, business-rules-based, voluminous, repetitive processes. 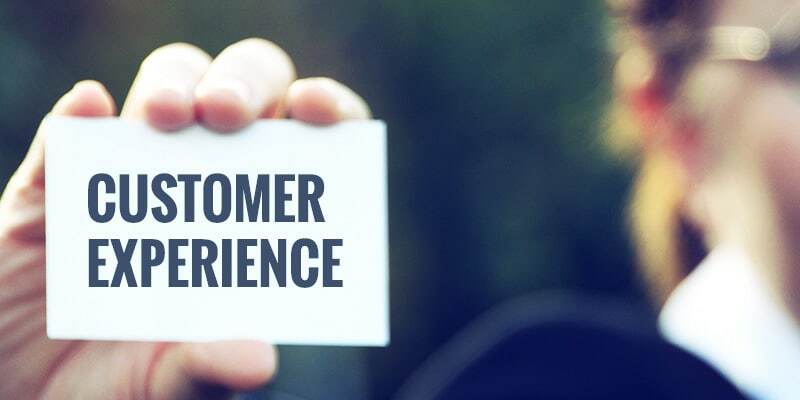 There is another Gartner report which predicts that in just a few years 25% of customer interactions will feature some form of virtual customer experience or RPA-powered assistance. Gartner goes on to also predict that one third of all jobs will be replaced by automation and smart machines by 2025. While these predictions may sound scary, there is already considerable progress being made in this pursuit by companies. But not all is as bad as they look. Before writing this, I was doing research on how technology has impacted jobs to validate this job loss theory. What I found was quite interesting. An article published in The Guardian based on a study by economists at Deloitte sheds light on the relationship between jobs and the rise of technology, by analyzing the census data of England and Wales going as far back as 1871. Their conclusion is that, rather than destroying jobs, technology has been a “great job-creating machine.” It is substantiated by the four-fold rise in bar staff since 1950s. The surge in the number of hairdressers since this century suggests that technology has increased spending power, thereby creating new demand and new jobs; and it saved more time for us. Their study, shortlisted for the Society of Business Economists’ Rybczynski Prize, argues that the debate has been skewed towards the job-destroying effects of technological advances, which are more apparent than its job-creating aspects. Analysis of the UK Labour Force Survey from the Office for National Statistics suggests the number of these workers soared from 29,743 to 300,201 between 1992 and 2014. 168% increase in care workers and home carers. 50% drop in company secretaries. Relentless in my search, I looked for more sources to validate this and found this. A 2011 study by McKinsey’s Paris office found that the Internet had destroyed 500,000 jobs in France in the previous 15 years—but at the same time had created 1.2 million others, a net addition of 700,000, or 2.4 jobs created for every job destroyed. The growing role of big data in the economy and business will create a significant need for statisticians and data analysts; they estimate a shortfall of up to 250,000 data scientists in the United States alone in a decade. This leaves with the question, what is going to be the real impact? As mentioned earlier, Gartner predicts at least one-third of the work of the jobs could be replaced by automation and smart machines by 2025, which is reiterated in the McKinsey report as they find that about 60 percent of all occupations have at least 30 percent of activities that are technically automatable, based on currently demonstrated technologies. On a global scale, McKinsey calculates that the adoption of currently demonstrated automation technologies could affect 50 percent of the world economy, or 1.2 billion employees and $14.6 trillion in wages. While most of the above look like data points and different research findings, the real cheer is in the fact that digitally enabled work is on the rise. As a follow-up to this, I am going to explore how customer experience & customer care are on the path of being enabled with bots, virtual assistants & AI-enabled chatbots. Three Waves of Automation to Improve Customer Experience and the Myth of Job Losses With the Adoption of Technology 0 out of 5 based on 0 ratings. 0 user reviews.